I’ve seen both types of British eagle in various places in Scotland (and a possible in the Lake District) – an amazing sight each time. 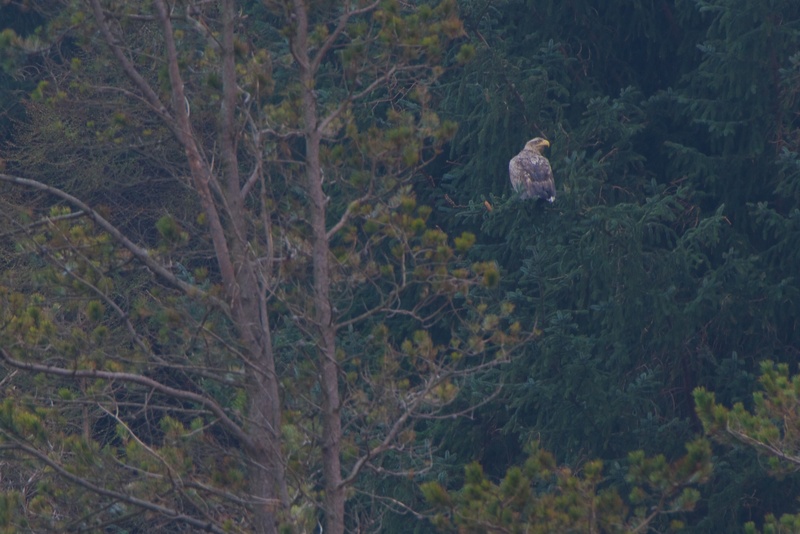 The best view I’ve had was of a white-tailed eagle which flew a few metres above my head and landed on the edge of the forestry block behind the cottage I was staying in on Mull. Each morning I would sit eating my breakfast looking out of the big picture window to the bay below, with a pair of eagles perched in a tree at the water’s edge. Breakfast eagles are pretty special!